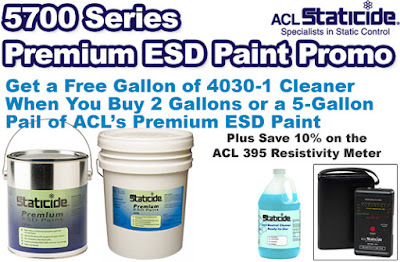 If you’re looking to ESD protect your workplace floor, or to reapply an ESD coating you previously applied, we have an awesome special offer on ACL Staticide Premium ESD Paints. Now through July 31st, 2017, get a Free gallon of ACL’s 4030-1 Neutralizer/Cleaner when you buy either two gallons or one 5-gallon pail of their 5700 Series Premium ESD Paint. Plus, when you combine that offer with the purchase of the ACL 395 Resistivity Meter, you’ll get 10% off the meter. ACL’s 5700 Series Premium ESD Paints offer a reliable static control solution that is more economical than ESD epoxy or ESD tile. These convenient paints provide consistent static protection for interior concrete floors and are perfect for use in electronics manufacturing, assembly, and other ESD-protected areas. You’ll find these paints easy to apply and maintain with a rich viscosity that ensures even distribution of conductive material. Click here for a product data sheet. The ACL Staticide 4030-1 Neutralizer/Cleaner is a ready-to-use, low-foaming multi-purpose maintenance cleaner that is non-toxic, biodegradable, and environmentally friendly. It will not degrade the anti-static properties of an environment (such as a ESD-painted floors), and it has a neutral formula that allows it to safely be used in environments with septic and sewage systems. Click here for a product data sheet. Perfect for static testing floor finishes and paints (along with mats, wrist straps, smocks, bags, and containers), the ACL Staticide 395 Resistivity Meter features a modern design and sophisticated circuitry to provide high accuracy. Great for use in manufacturing and research departments, the 395 Meter has an easy-to-read, color-coded LED scale that will give half decade measurements to provide a close indication to actual value. Click here for a product data sheet. Please visit our ACL ESD Premium Paint promo page to purchase your paint(s) or for further info about our exclusive promo. You may also contact us by phone (800-966-6020), email, or via our Web site. 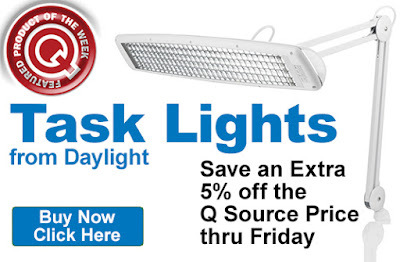 Save an extra 10% off the Q Source price on Eclipse Tool Kits. 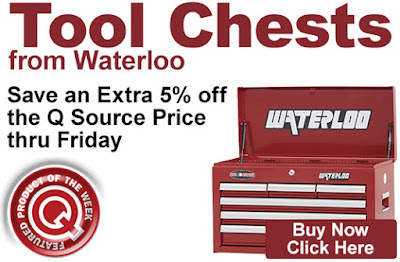 Get this discount when you add an eligible tool kit to your shopping cart. Our Featured Product promo is valid Monday, May 15, 2017 and runs through Friday, May 19, 2017. 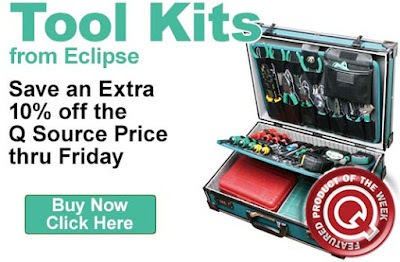 Our exclusive Featured Product Sale offers additional savings on numerous kits from leading manufacturer, Eclipse Tools. Eligible products include technician’s kits, electronics kits, Apple, PC & video game repair kits; cell phone repair kits, and dozens more. Visit our Featured Product promo page for the complete selection. Click here to shop for eligible Eclipse Tool Kits. For further questions, call us (800-966-6020), or send us an email. Please note: This promo is valid only at QSource.com and expires on Friday, May 19, 2017. 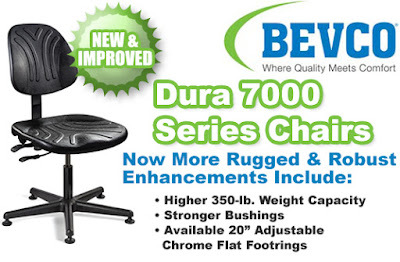 If you’re shopping for ergonomic chairs and need to consider weight capacity, please head over to QSource.com’s Bevco Dura 7000 Series Chairs Department. We think Bevco’s upgraded 7000 Series lineup may be just what you need. In addition to these upgrades, Bevco’s Dura Chairs feature a polyurethane that is impervious to water, oil, and most chemicals; are made to meet ANSI/BIFMA standards, and are GREENGUARD GOLD certified. Plus, they come standard with Bevco’s 12-year warranty. 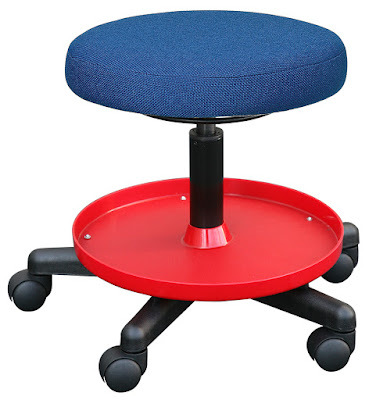 Available in standard and cleanroom versions, these chairs offer a variety of options for use in schools, labs, and other industrial environments. And, as with all of Bevco’s chair lines, the Dura 7000 Series allows you to create the exact chair to meet your needs. Please visit our Bevco Dura 7000 Series page to purchase your chairs. You may also contact us by phone (800-966-6020), email, or via our Web site. Leading off this week’s column: Tektronix always has the coolest stories about new technology and this week they offer a post about the potential use of 3D liquid crystals for creating quantum computers. Wearwell’s post focuses on the importance of proper ergonomic surfaces to improve worker health and productivity and to reduce absenteeism. Hey dads, find out who joins Netflix in 3M’s post of the 50 best places to work for new fathers. Zebra Technologies posted a piece about what the future holds for using RFID transmitters to track NFL player performance. 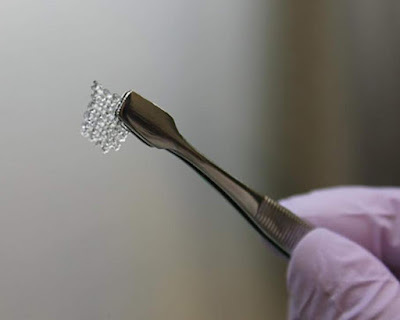 3D Printing Industry presents another post about the promising use of 3D printing to save lives. 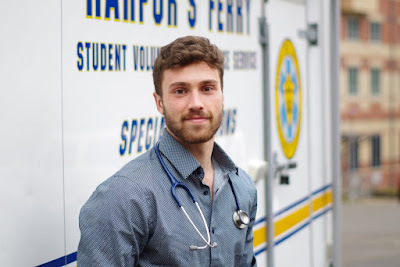 In this case, the creation of an artificial pancreas for type 1 diabetes patients. And we close out this week’s column with a post about our new ACL Staticide ESD Premium Paints promotion. 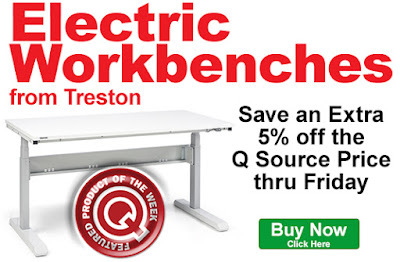 Save an extra 5% off the Q Source price on Treston’s Electric Workbenches. Get this week-long discount when you add an eligible workbench to your shopping cart. Our Featured Product promo is valid Monday, May 8, 2017 and runs through Friday, May 12, 2017. Eligible workbenches include ESD and non-ESD laminate worksurfaces, with or without an LMT Frame, and with or without a single bay upright module. For complete details, please see the individual product pages for these workbenches. Click here to shop for eligible Treston Electric Workbenches. 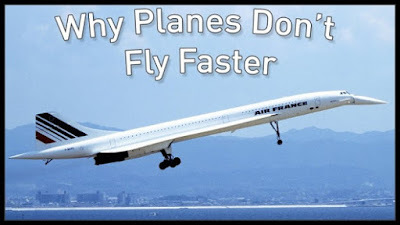 For further questions, call us (800-966-6020), or send us an email. Please note: This promo is valid only at QSource.com and expires on Friday, May 12, 2017. Leading off this week’s column: We hope this post won’t be one of the surprising reasons, listed in this post from Workrite Ergonomics, of why you have a headache. Puritan’s post looks at the tools of boxing and MMA’s often overlooked “cutman” in the corner. 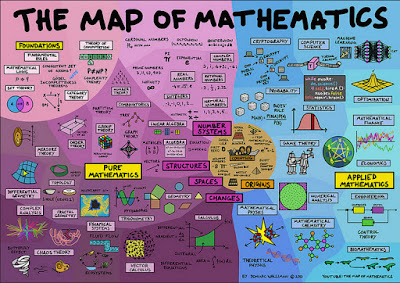 How does studying the big help us learn about the very small? This National Nuclear Security Administration post shows how cosmology is now helping us understand quantum mechanics. Agilent Technologies’ post gets us, in a roundabout way, to a very interesting revelation of how scientists are using DNA as a new outlet for information storage. 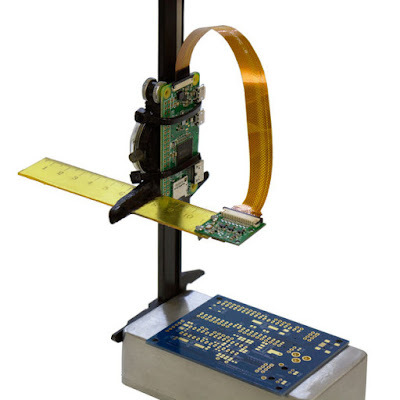 Here’s a do-it-yourself post from Instructables that demonstrates how to build your own soldering microscope using a Raspberry Pi Zero W and a camera module. 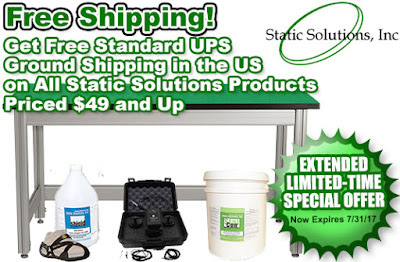 And we close out this week’s column with our post announcing the extension of our popular Static Solutions Free Shipping promotion.